The Doxiepoo is a cross between the Poodle and the Dachshund. Like all hybrid breeds, the Doxiepoo is generally less susceptible to hereditary health issues than his purebred counterparts. However, he may still experience health problems common to either parent breed. Hip dysplasia may affect some Doxiepoos. Hip dysplasia occurs when a malformed hip joint does not allow the thighbone to fit properly into place, often leading to discomfort, pain, and limping. In more severe cases, arthritis or even lameness can result, sometimes necessitating surgery. Dogs with hip dysplasia should not breed, so ensure that your prospective puppy’s parents have no history of the condition. Although it is hereditary, hip dysplasia can also be triggered by rapid weight gain or injury. While your pup’s joints are still developing, monitor his play to ensure that he does not jump excessively or run on slippery floors. Another joint issue called patellar luxation is a possibility for the Doxiepoo. Patellar luxation refers to the knee joint sliding easily in and out of place, leading to dislocation of the knee that often causes pain and intermittent lameness. Surgery may correct some cases of patellar luxation, but it is not always a possibility. A potentially fatal condition called bloat can be a concern for the Doxiepoo. Bloat occurs when the stomach fills with gas, fluid, or food, expanding dangerously and putting increased pressure on surrounding organs. In some cases, the stomach twists in what is known as gastric torsion, trapping blood in the stomach and preventing it from flowing to the heart and other vital areas. Bloat can be deadly in a matter of a few hours if left untreated, so take your Doxiepoo to the veterinarian right away if you note symptoms such as pale gums, excessive drooling, failed attempts to vomit, or a swollen stomach. The veterinarian will likely remove excess air in the stomach with a stomach tube or a hollow needle. If your dog’s stomach has flipped, the veterinarian will need to move it to the correct location. Even when treated, not all dogs affected with bloat survive. Other issues for the Doxiepoo may include heart disease, eye issues, urinary tract problems, ear infections, and skin problems. The Doxiepoo may have a tendency to become obese, which can result in back problems for this breed. The average lifespan for a Doxiepoo is 10-15 years. The Doxiepoo’s temperament may vary, similar to all mixed breeds, which can exhibit any combination of the parent breeds’ characteristics. In fact, the Doxiepoo is one of the most unpredictable, widely varying mixes. However, if one had to generalize, the Doxiepoo tends to be affectionate, humorous, and enjoy being the center of attention. The best way to understand your Doxiepoo’s temperament is to visit your breeder and watch his behavior with other puppies. The Doxiepoo can live in an apartment but does need a couple of walks and some active playtime on a daily basis. This breed is prone to obesity, so be sure to keep your Doxiepoo active. He may have a tendency to roam, so a leash or a secure fence are absolutely essential when your Doxiepoo is outdoors. He also has a strong prey drive and is likely to pursue small animals. Another favorite activity of the Doxiepoo is digging, so supervise him outdoors or designate an area where you do not mind him digging. 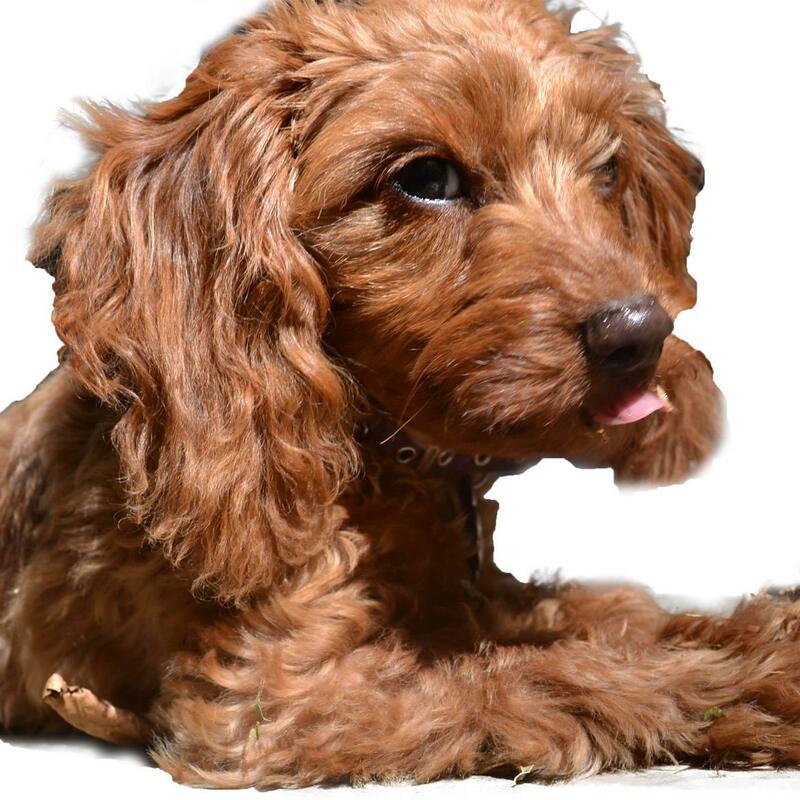 The incredibly loving, affectionate Doxiepoo bonds strongly to his family, although he may form a special bond with a particular member of the family in particular. He does not do well if left alone for long periods of time and may develop separation anxiety. The Doxiepoo gets along very well with children, especially if they are raised together. However, he often does not get along with other pets unless he has been extensively socialized. Even then, some may never take to other animals. The Doxiepoo makes a good watchdog who will always bark at the presence of an unfamiliar person, although he does eventually warm up to new people. Some may bark excessively, but this can be addressed in training. It is difficult to predict the trainability of the Doxiepoo. While Poodles are notoriously trainable, Dachshunds are stubborn and tend to get distracted easily. Either way, this breed is intelligent, and training should not be overly difficult with the right approach. Be firm and consistent in enforcing your rules and expectations, but never be harsh, as any amount of stubbornness in the Doxiepoo will only become more pronounced if he feels he is not being treated fairly. Use positive reinforcement such as favorite treats (in moderation), extra playtime, and encouraging praise to motivate your Doxiepoo. The Doxiepoo’s coat may vary. They will shed, although the amount of shedding varies as well. 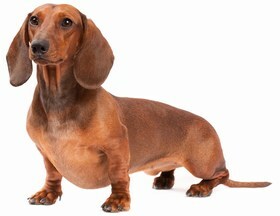 If they inherit the short coat of the Dachshund, they will require very little grooming. 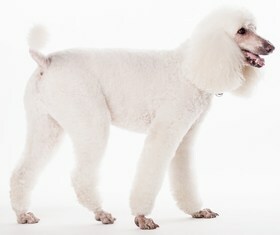 The longer, curly coat of the Poodle calls for more frequent brushing and the occasional trim. Bathe the Doxiepoo as needed. Trim his nails regularly to prevent overgrowth and cracking. 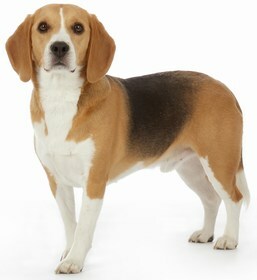 Check his ears weekly for signs of infection such as redness, tenderness, and odor. Since the Doxiepoo may be prone to ear infections, it might also be beneficial to clean his ears with a veterinarian recommended cleanser. Brush his teeth at least 2-3 times each week to prevent bad breath and maintain good overall health. The average Doxiepoo should eat 1.5-2 cups of high-quality dry dog food daily, preferably divided into at least two smaller meals. He can be prone to obesity and resulting health issues, so be sure that you are not overfeeding your Doxiepoo, whether it is his meals, his treats, or table scraps. 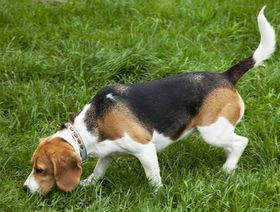 Take precautions against bloat by preventing your dog from eating too rapidly. Also, ensure that he does not drink excessive amounts of water right before or right after eating. Impose a one-hour waiting period between eating and any form of physical activity. On average, the Doxiepoo costs $250-$800. Pricing may vary according to breeder location and reputation, as well as the gender and parentage of your prospective puppy. If you are able to adopt a Doxiepoo, expect adoption fees to cost up to $175, depending on your location. Ranking takes into account a few basic factors including cost, skill level needed, high vs low maintenance and how critical regular training is to success. The Doxiepoo ranks a 1.5. He can live in an apartment, tends to have a relatively low-maintenance coat, and has low to moderate exercise needs. However, he does need extensive socialization to ensure appropriate behavior, and he may be stubborn and difficult to train.